Boeing and AerCap announced at the 2017 Dubai Airshow that EgyptAir will lease six Boeing 787-9 Dreamliners. 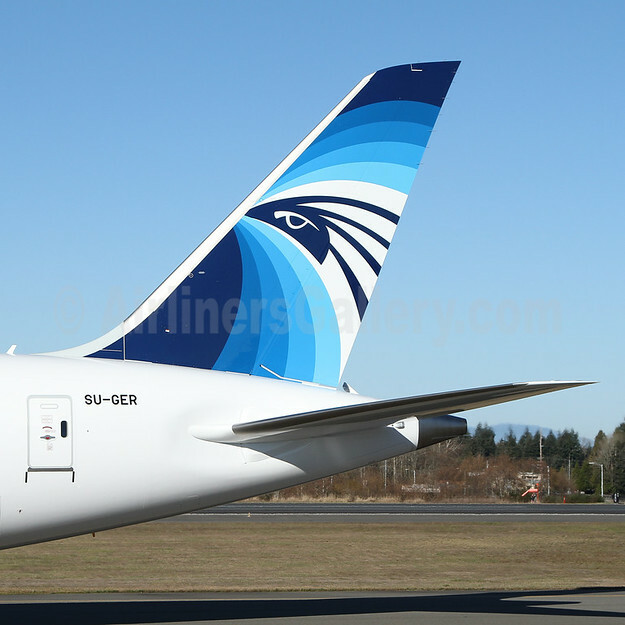 EgyptAir, the national flag of Egypt, is leasing the airplanes from Dublin-based AerCap, the world’s largest 787 customer with more than 115 787s owned or on order. EgyptAir’s selection of the Dreamliner builds on its long-term partnership with Boeing, which dates back to 1966 with the airline’s order for three 707s. Today, the carrier’s fleet includes a mix of Boeing 777s and 737s. In other news, AerCap and EgyptAir announced they have reached agreement on the long-term operating lease of 15 Airbus A320neo aircraft, powered by CFM International’s LEAP-1A engine. These aircraft are from AerCap’s order book with Airbus and are scheduled to deliver in 2020. The announcement was made during the 2017 Dubai Airshow. This entry was posted in EgyptAir and tagged Airbus A320neo, Boeing 787, EgyptAir on November 15, 2017 by Bruce Drum. Boeing and Korean Air on February 22, 2017 celebrated the delivery of the airline’s first 787-9 Dreamliner. The Seoul-based carrier will be the first Korean carrier to operate the 787-9 Dreamliner in the country. The airline is scheduled to launch domestic flights to Jeju from Seoul (Gimpo) for a month as part of the required certification period, before launching long-haul international routes to Toronto, Madrid, and Zurich later this year. Photo: Boeing. Boeing 787-9 Dreamliner HL8081 (msn 34810) is pictured at Charleston, SC. This entry was posted in Korean Air and tagged 34810, 787, 787-9, 787-9 Dreamliner, Boeing, Boeing 787, Boeing 787-9, Boeing 787-9 Dreamliner, Charleston, CHS, Dreamliner, HL8081, Korean Air on February 23, 2017 by Bruce Drum. Boeing and AerCap, a global leader in aircraft leasing, on December 1, 2016, celebrated the delivery of the first 787 for Air France. The airplane, a 787-9, signifies the delivery of AerCap’s 50th Dreamliner and will be deployed on Air France’s Paris to Cairo route starting in January 2016. The airplane is also the 500th 787 produced on Boeing’s production lines. Photos: Boeing. Boeing 787-9 Dreamliner F-HRBA (msn 38769) is pictured in action at Paine Field near Everett, WA on November 30, 2016. This entry was posted in Air France and tagged 38769, 787, 787-9, AerCap, Air France, Boeing, Boeing 787, Boeing 787-9, Boeing 787-9 Dreamliner, Dreamliner, F-HRBA on December 2, 2016 by Bruce Drum. American Airlines on September 13, 2016 took delivery of the pictured Boeing 787-9 Dreamliner from North Charleston, SC. The The first 787-9 is registered as N820AL (msn 40639). The new type will be introduced domestically on October 14 between Dallas/Fort Worth and Los Angeles. According to American, the 787-9 will make its debut international flight between Dallas/Fort Worth and Adolfo Suárez Madrid–Barajas Airport (MAD) on November 4. The aircraft will also operate between DFW and São Paulo–Guarulhos International Airport (GRU) beginning on November 4. This entry was posted in American Airlines and tagged 40639, 787, 787-9, 787-9 Dreamliner, American Airlines, Boeing, Boeing 787, Boeing 787-9, Boeing 787-9 Dreamliner, N820AL on September 17, 2016 by Bruce Drum. 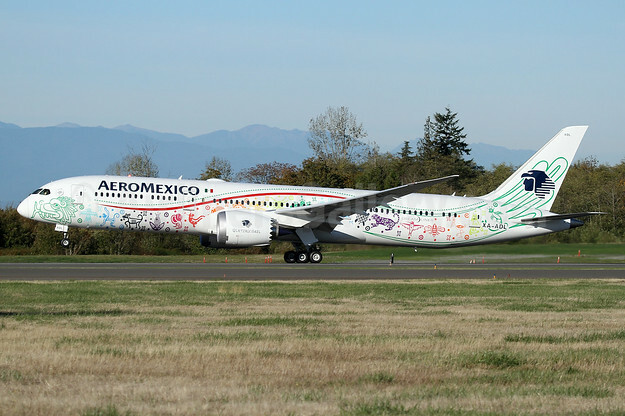 AeroMéxico presents the special livery of its first Boeing 787-9 Dreamliner (XA-AML, msn 43859). The aircraft will be named “Quetzalcoatl” (meaning “Feathered Serpent”) after one of the principal deities of pre-Hispanic Mexico. This is the first time in aviation history in which a design of this type is painted on an aircraft’s livery, offering a unique fusion of tradition and modernity. AeroMéxico’s Quetzalcoatl plane left the Boeing Aircraft Paint Hangar after a nine-day process—six days longer than expected—as the engineers found that they needed extra time to add all of the original hues and colors featured in the winning design. Copyright Photo: AeroMexico Boeing 787-9 Dreamliner XA-ADL (msn 43859) (Quetzalcoatl) PAE (Nick Dean). Image: 935138. This entry was posted in AeroMexico and tagged 43859, 787, 787-9, 787-9 Dreamliner, AeroMexico, Boeing, Boeing 787, Boeing 787-9, Boeing 787-9 Dreamliner, Everett, PAE, Paine Field, Quetzalcoatl, XA-AML on September 7, 2016 by Bruce Drum. 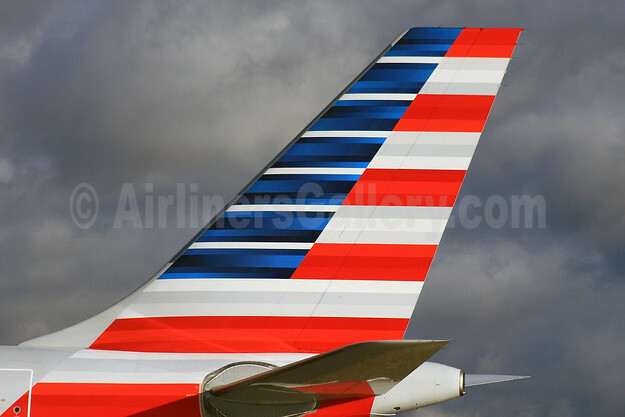 American Airlines will offer inaugural service with Premium Economy seating on its first Boeing 787-9 Dreamliner. The 787-9 will make its debut international flight between Dallas/Forth Worth and Adolfo Suárez Madrid–Barajas Airport (MAD) on November 4, 2016. The aircraft will also operate between DFW and São Paulo–Guarulhos International Airport (GRU) beginning November 4, 2016. Customers can start booking 787-9 flights beginning July 10. This entry was posted in American Airlines and tagged American Airlines, Boeing, Boeing 787, Boeing 787-9, Boeing 787-9 Dreamliner on July 7, 2016 by Bruce Drum.